I saw David Suzuki give his most recent lecture at the Sydney Opera House last October and was impressed by his simple message about our basic human needs – not for endless economic growth but for clean air, clean water and clean earth. Whatever we do to these elements, like dumping toxic waste into waterways, the atmosphere and landfills, we do to ourselves – a case demonstrated by the fact that each of us currently carries around about a pound of plastic in our bodies – yuk! 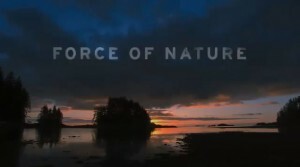 The message is reiterated in Suzuki’s film ‘Force of Nature’ which I saw yesterday. Like ‘An Inconvenient Truth’, the film revolves around a public lecture with background information into its subject provided through additional documentary footage. Suzuki appears as a radical university lecturer wearing a headband and a brightly coloured floral shirt. Excerpts from his TV Show ‘The Nature of Things’, which has been running now for 30 years, are also plundered for gems. Suzuki calls on us to stop going down the suicidal path that we have chosen for our species and all the other incredible voiceless ones as well through our blind worship of a never ending growth economy at the expense of nature. He asks us to use our incredible brain power to create a future full of love and cosmic order. With this, he believes, we will be able to rediscover our home, planet Earth, and learn to live in harmony with it. All we need is the imagination and the will to make it happen. Not so big an ask really when you consider the alternative.